Janice L. Hull, M.D., Inc. (Inglewood) - Book Appointment Online! 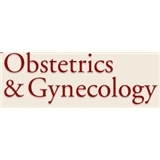 *Note the office is not in network Blue Shield(Covered California) The practice of Obstetrics and Gynecology requires mutual understanding, respect and confidence. I strive to offer you the best and highest standards of medical care. However, if any concerns should arise I welcome you to discuss them with me. The patient physician relationship is unique, personal, and confidential and I will go above and beyond to uphold its intergity. She is amazing. The best OBGYN I have ever had. Takes the time to explain things and do blood tests if you haven't had a physical in a while. Definitely recommend her!